Sarah Nader- snader@shawmedia.com Joel Kriete of Harvard walks past one of the fire hydrants he painted around his neighborhood with the help of his two sons Tuesday, Nov. 1, 2016. 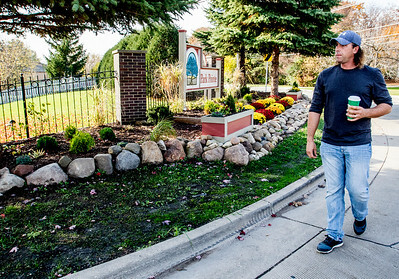 When Harvard's Park Point subdivision fell into total disrepair Kriete took on the project of landscaping, painting and beautifying the entrance to his subdivision. Sarah Nader- snader@shawmedia.com A view of the Park Point subdivision entrance in Harvard Tuesday, Nov.1 2016. When the entrance fell into total disrepair a local neighbor took on the project of landscaping, painting and beautifying the entrance to his subdivision. He also painted the neighborhoods fire hydrants. Sarah Nader- snader@shawmedia.com Joel Kriete of Harvard walks past the entrance to his subdivision Tuesday, Nov. 1, 2016. 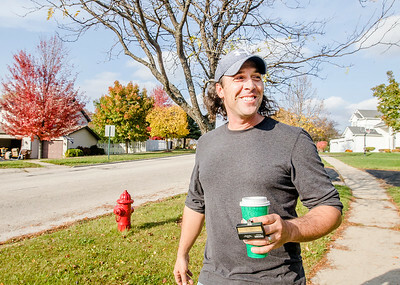 When Harvard's Park Point subdivision fell into total disrepair Kriete took on the project of landscaping, painting and beautifying the entrance to his subdivision. He also painted the neighborhoods fire hydrants. 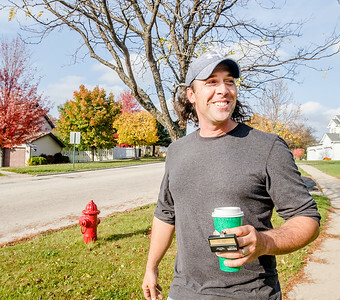 Joel Kriete of Harvard walks past the entrance to his subdivision Tuesday, Nov. 1, 2016. 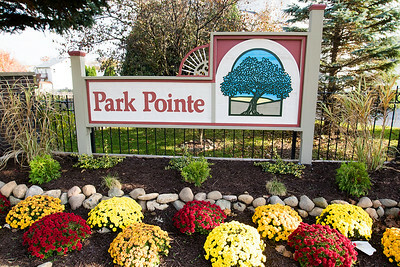 When Harvard's Park Point subdivision fell into total disrepair Kriete took on the project of landscaping, painting and beautifying the entrance to his subdivision. He also painted the neighborhoods fire hydrants.